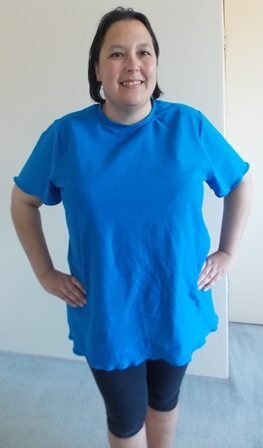 Last summer I made a heap of t-shirts to use as pj tops to sleep in and I discovered they are really easy to make. I have lived out of them. As much as I love them I can’t wear them out as they are just a fraction too big even for me who loves baggy clothing. 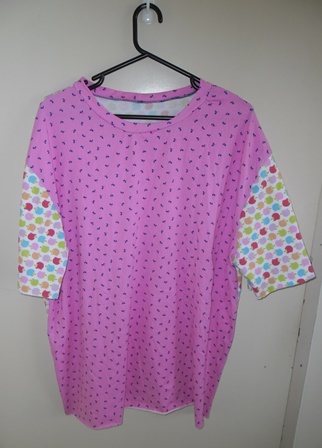 Yes I could just trace out a smaller size but I refer to that pattern now as my PJ top and it is actually a men’s pj pattern (K4088) I wanted to make a new t-shirt to wear as my gym top as the top I was using as my gym shirt was an old charity volunteer top and I no longer volunteer for that charity so I thought it was maybe wrong to keep wearing the top in public. 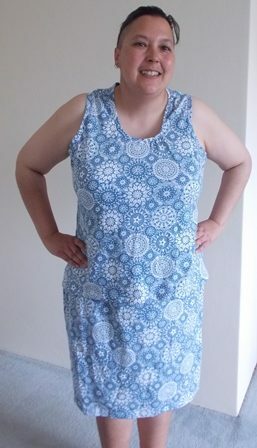 It was fairly old and the fabric was one those cottons that go crusty with age and not soft and squishy. 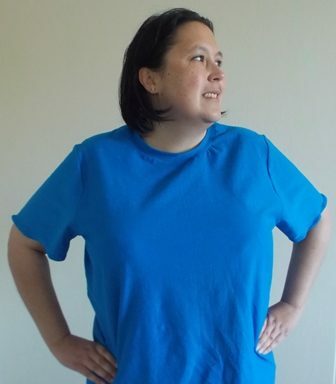 I thought this is the perfect opportunity to make my second pattern from A Beginner’s Guide To Sewing With Knitted Fabrics the Peak T-Shirt. 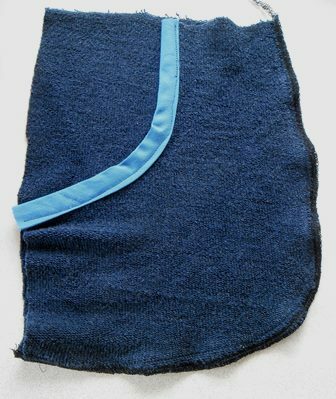 I had 2 pieces of blue fabric in my stash that kind of looked the same each about 1m. 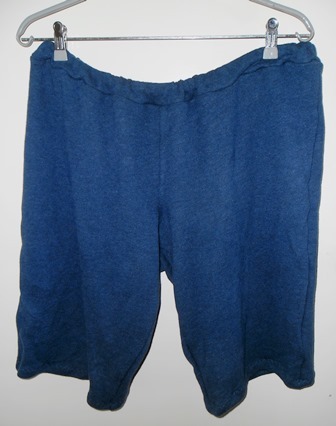 I remember buying one them and know it was cotton lycra, I can’t remember where or when I purchased the second one. As the 2 felt and stretched the same I assumed the 2nd was another lycra knit. 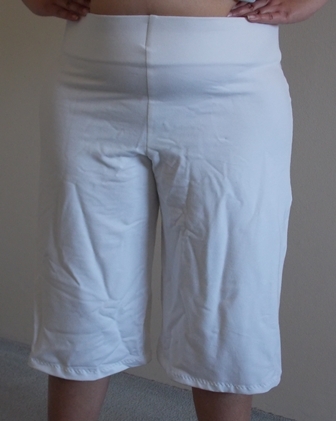 At one stage I was wanting to make bike pants so I think that is why I brought them, I still want to make bike pants but never in blue. I traced out the largest size of the pattern. 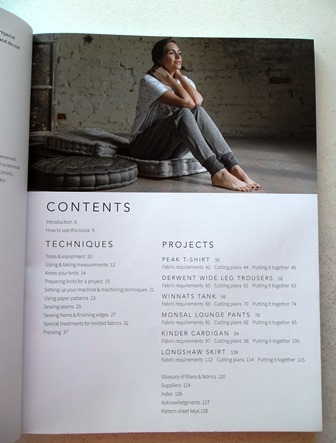 The book mentions a few knits to use for this top but not cotton lycra, my thinking was it is a t-shirt and you do find them made out of cotton lycra so it should work and it did. 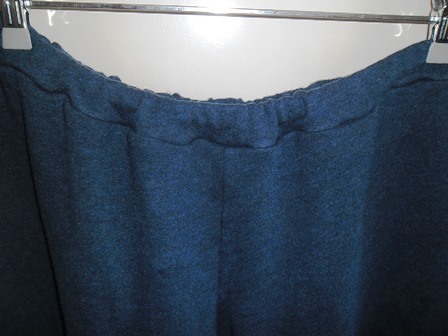 The 2 pieces of fabric are very similar in colour but not 100% the same. 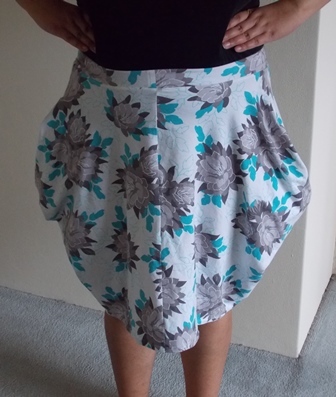 Unfortunately I didn’t have enough fabric out of either piece to make the entire top from one fabric so I had to do a mash it up. 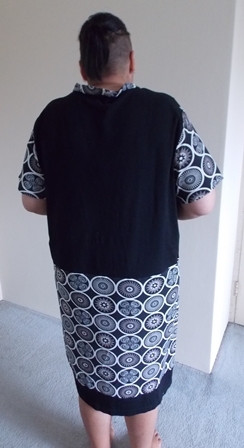 The front, back and neckband are made from the one of fabric. 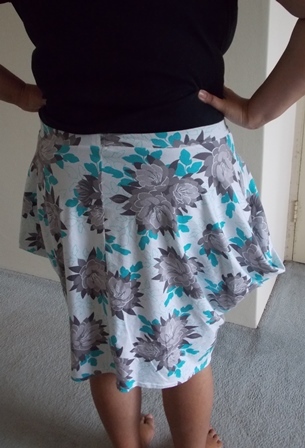 I went with the fabric which was slightly darker and the one I am more certain is the actual cotton lycra piece. 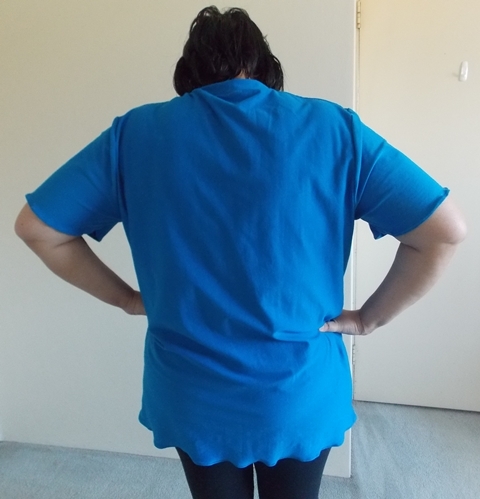 It was little I guess firmer so I thought would retain the shape better over the body of the top. 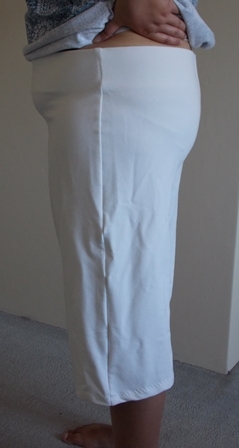 The sleeves are made from the other piece. Unless you get up really close and know to be looking for it you don’t see the colour difference between the fabrics. 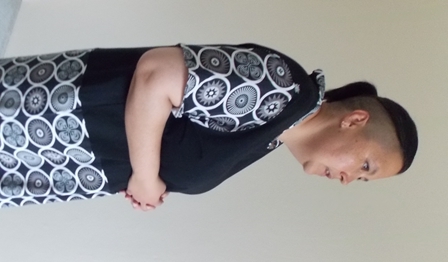 I assembled this on the overlocker and used the sewing machine to join the neckband into a ring and do the hems. My hems I just folded over and did a zig zag stitch. I’m not sure why they became wavy. 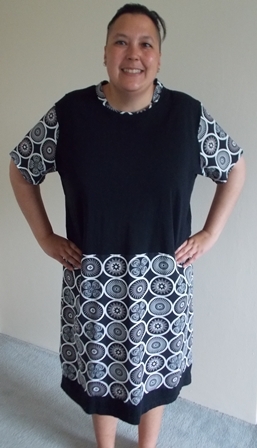 I’m just calling it a design feature particularly when it is on both the sleeves and bottom hem. 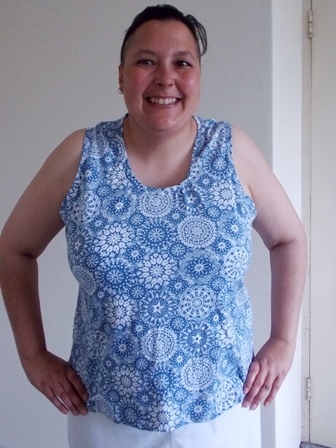 Despite my expression I do like this top! I am surprised by the fit of this. I have road tested this as the gym and it was really comfortable. I can move all my shoulders easily. 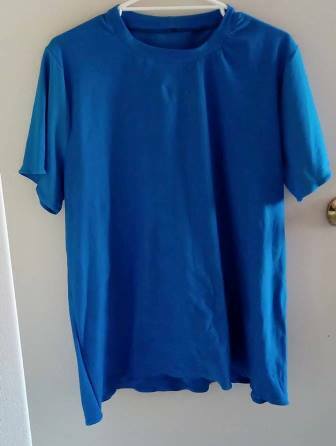 The sleeves didn’t get in my way like some tops I have worn have. I personally don’t care what I look like when I work out but I feel comfortable in this. It isn’t baggy but it isn’t super snug that I can’t move about in it. I can say I have made active wear now! 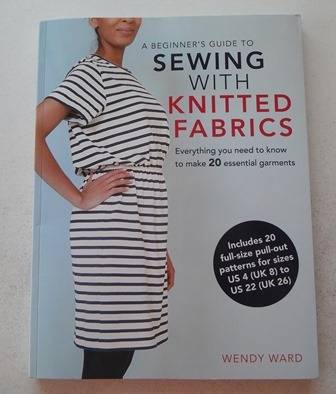 My aim is to sew my way through this book and I have made 2 patterns so far with 3 garments in total. At this point from fabrics in my stash I should be able to make at least 1 if not 2 or more items. 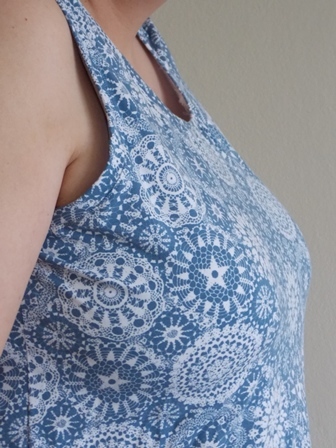 I’m not rushing myself to make things when I feel inspired to try a pattern I will.